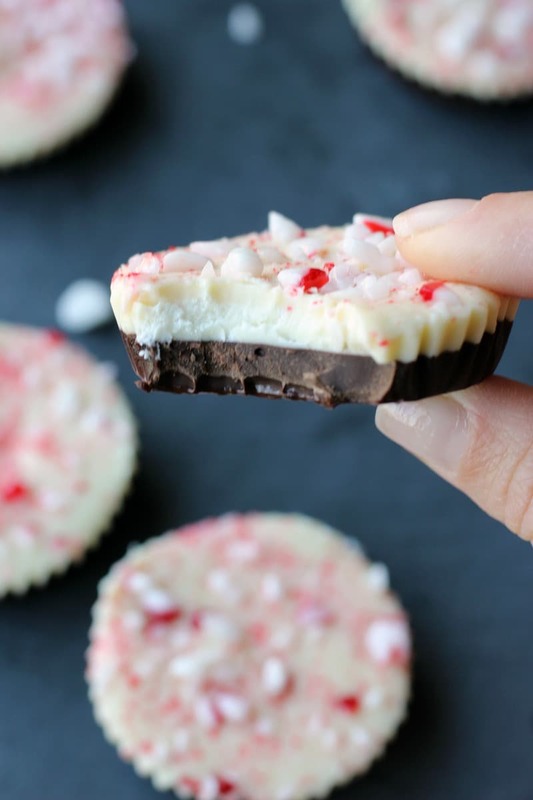 Easy, no-bake Chocolate Peppermint Cups! 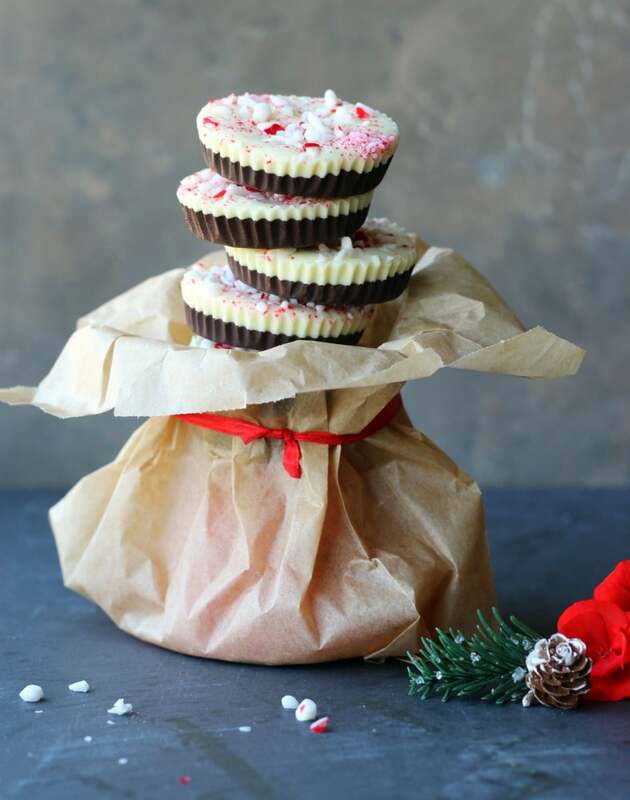 Make them for home or make them to give, these Chocolate Peppermint Cups are a treat that everyone will enjoy! ‘Tis the season to Give, to Love and to be Jolly Fa-la-la-la-la! All joke aside, I think this is a great time to start baking and trying different recipes, kinda like getting your feet wet. This will give you a good idea of some of the things you will want to stick with and what you will need to ditch. You know… the unsuccessful trials, or those long and lengthy recipes that you will most likely not have the time for. Ever since I made these Chocolate Peanut Butter Cups, my family and I have been devouring some pretty delicious homemade chocolate treats. The kids like milk chocolate, I like dark chocolate, this makes it easy to customize to everyone’s taste (nuts, not nuts, lots-of-nuts!) and make everyone happy. At that point I already had my mind set to made these peppermint cups because they are my favorite! I love the combination of dark (or milk) chocolate and white chocolate, plus the peppermint crunch makes everything so special and yummy. EVERYONE’S FAVORITE SUGAR COOKIE IS NOW GLUTEN-FREE! 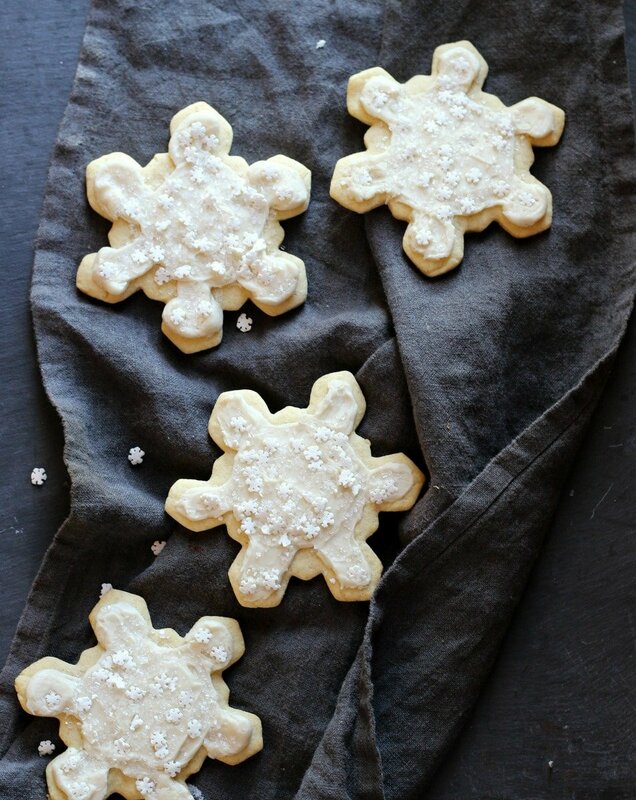 Snowflakes Sugar Cookies a MUST try! 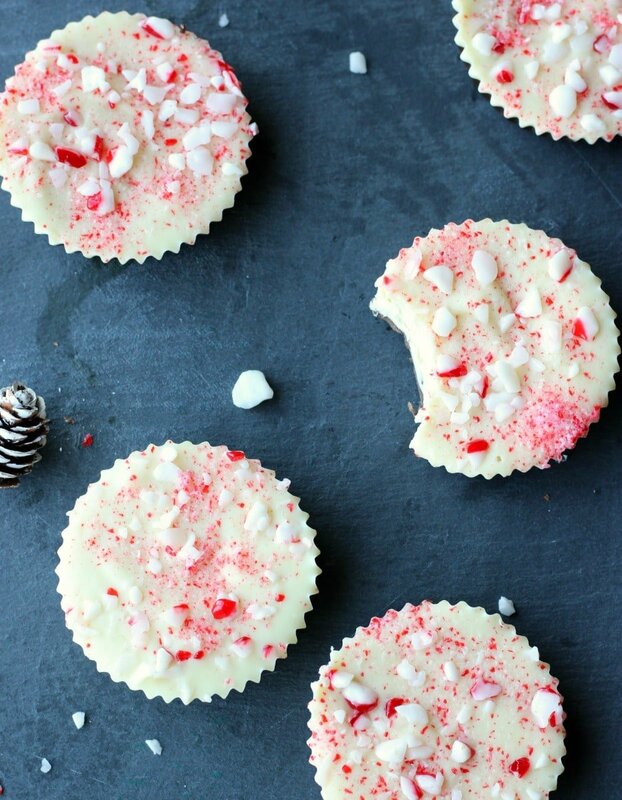 These Chocolate Peppermint Cups are incredibly easy to make. Honestly the hardest part is waiting for the chocolate to harden in the fridge (or freezer, if you are that impatient!). After they came out of the mold, they looked so adorable and perfect… don’t you agree? This recipe is something that you will want to have around the house, to offer to those visiting, stopping by or as a sweet treat after a meal. Additionally, in my opinion they make for a gorgeous, delicious and inexpensive gift to teachers, neighbors, relatives, co-workers… literally everyone! So without further ado, please enjoy this recipe and be sure to SHARE with everyone on your list too! 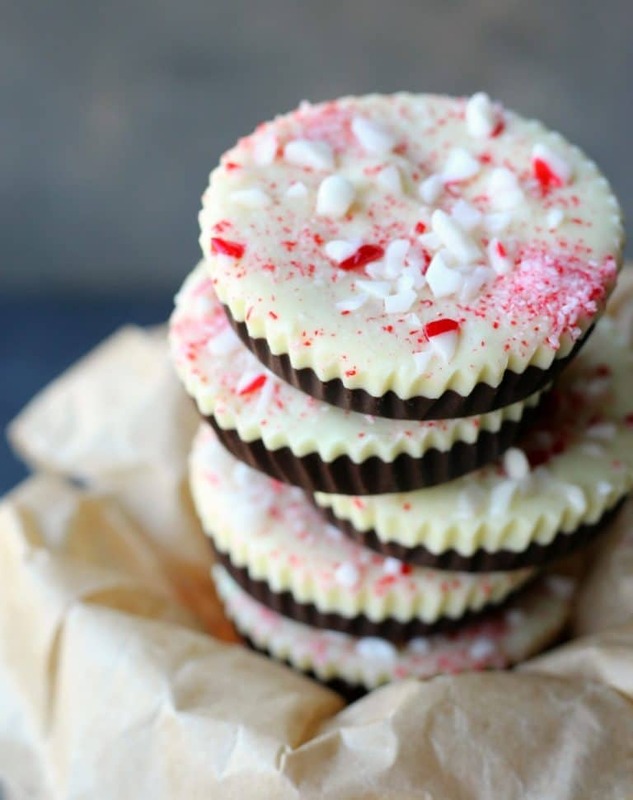 BEST Chocolate Peppermint Cups of the Season! to keep or to give, 'tis a recipe for everyone to enjoy! Bring about an inch of water to a boil in a saucepan. Set the heatproof bowl in the mouth of the pot, making sure the water doesn't touch the bottom of the bowl. Add the milk chocolate chips to the bowl and stir occasionally as it softens. When the chocolate is completely melted, remove bowl from heat. Pour a thin layer of melted chocolate into each silicone cup (about 1 tbsp each) and place it in the freezer for 15 mins. Meanwhile, repeat step 1 with the white chocolate chips. Set aside. Place the candy cane in a tight zipper bag. Place the bag on a soft hand towel and crush it with a hard object (I used my stone mortar and pestle), or try and find peppermint sprinkles, which I later found at Home Goods. Remove the chocolate cups from freezer and repeat step 2 with the white chocolate (about 1 tbsp each). Sprinkle with peppermint pieces, (be sure to break it down to different sizes, some should be super grainy and fine while other pieces should be a little bigger). Place it in the freezer for an additional 30 minutes. Easily remove the chocolate cups from silicone mold. 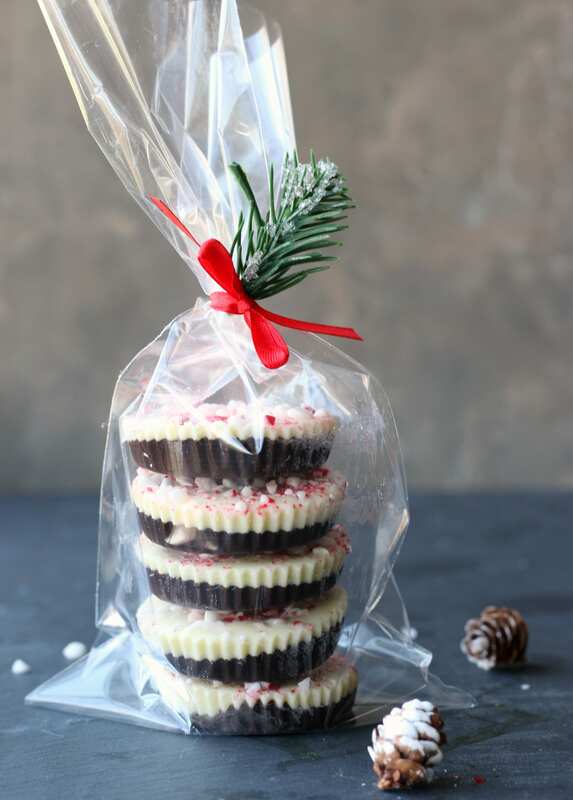 Keep remaining chocolate peppermint cups refrigerated. these are so beautiful. I find melting white choco to be tough but yours came out perfect! The white chocolate definitely has a bit of a different consistency but it turned out just fine 🙂 Thanks so much Natalie!! These look so gorgeous 🙂 I definitely need to give them a go as little stocking-filler Christmas presents! Make a very similar recipe for Christmas gifts in a brittle ..this seems easier.. with mine I sometimes have trouble with the two chocolate layers separating..ever had this problem.? Silvia can you tell me what kind of silicon cups you used. Can you fix with paper cupcake cups. If you don’t have silicone cups. I just made these this morning as gifts. I bought the LAST 2 packages of silicone baking cups in a store after a bit of a search yesterday. PHEW!! ( no time for an Amazon order) I think using the silicone cups are KEY. The recipe was super easy and fun. I was worried they wouldn’t come out as nice as yours! They did!!!! Wow Elaine, yours came out amazing !! Thanks for sharing your beautiful creation and I am so happy you’ve enjoyed it. It just made my day 🙂 Happy Holidays!! Any tips on the chololate melting? I’m worried about clumping if I don’t work super fast? I’ve had that experience making buckeyes…. Hi Eva! I always melt my chocolate on a double boiler and add a half tbsp of coconut oil to it. I use a rubber spatula to stir until smooth. It never gets clumpy for me this way. Microwave is unpredictable and dries out the chocolate so I don’t like this option.